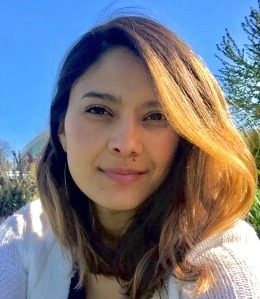 Diana Arias Heñao is a clinical psychologist based in Seattle, where she works as a clinical research assistant at Seattle Children’s Hospital. Born in Colombia, South America, she worked as a mental health therapist at Consejo Counseling Service serving the Latino community in Washington, and before that she was a clinical psychologist in private practice and at the Fundación Mnematica, Medicina del Alma in Colombia. Diana is currently pursuing a PhD in depth psychology at Pacifica Graduate Institute. Some of her academic writings on resilience, active imagination and the hero’s journey are accessible online.